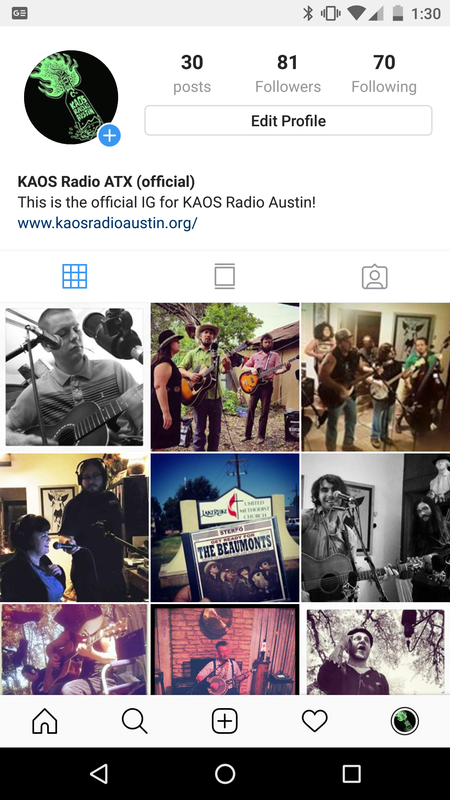 KAOS Radio Official Instagram and Twitter pages! 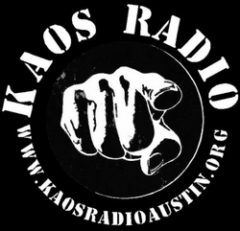 KAOS Official Instagram and Twitter pages for our radio mission that started in 2001! 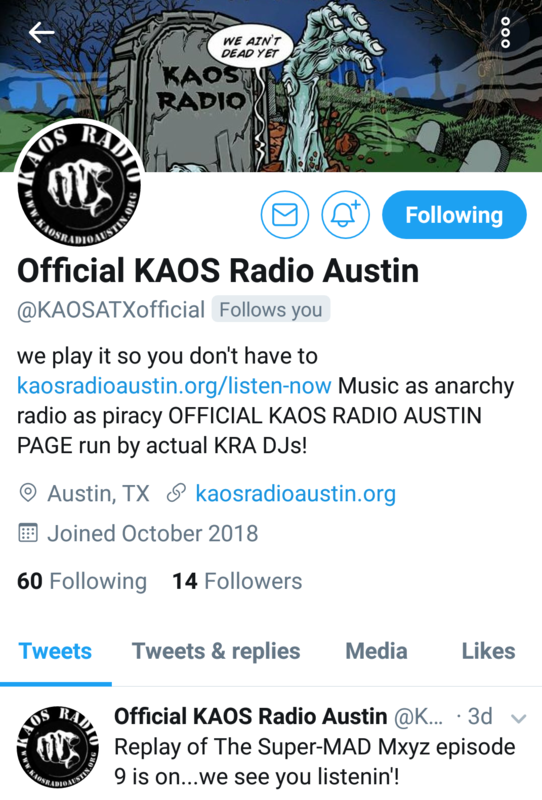 These are the only Twitter and Instagram pages that are sanctioned by KAOS Radio and the collective of DJ’s that run the station. Please follow us!